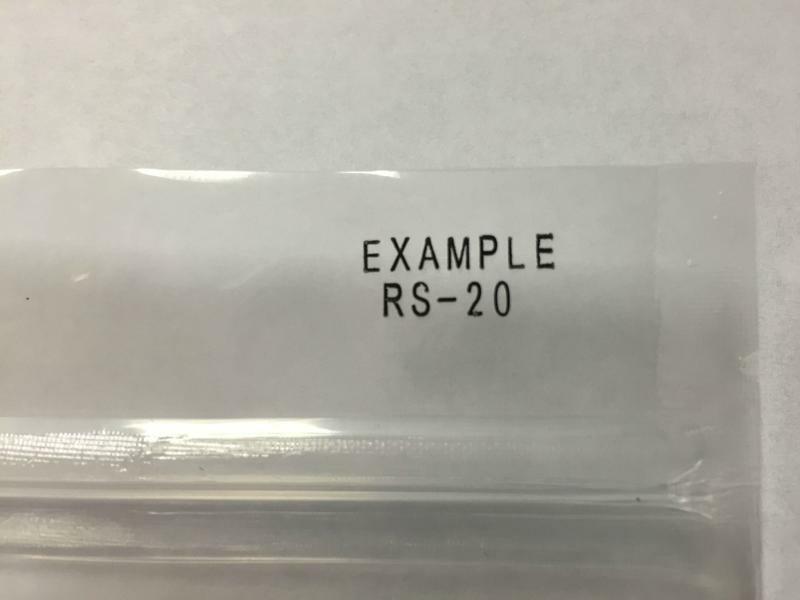 The RS-20 Dry Ink Table Top Imprinter is used to print expiration dates, manufacturers' codes, lot numbers, and other information on poly bags, poly cases, paper bags, aluminum, and other materials. This imprinter is easy to use and provides a clearly printed stamp on your material. The unit is equipped with an adjustable thermostat to control the printing temperature. The print dries as soon as it is printer and the types are easy to change. 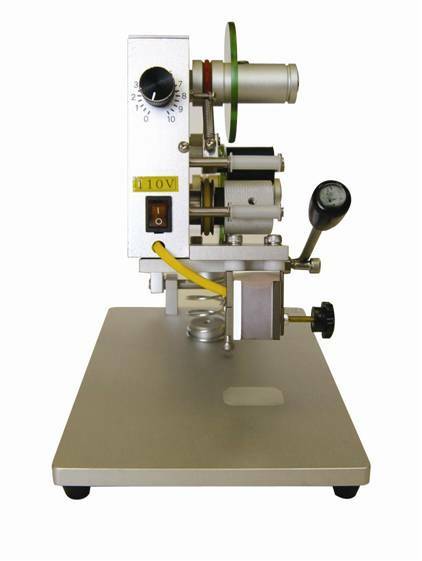 This hot stamp coder is a table top model equipped with a hand activation bar on the right side of the unit. The unit is capable of printing 1-3 lines of print on each line and hold 9 characters of types. Working temperature is 480F-570F (250C-300C). * 2 pcs each of "LOT", "EXP", and "MFG"
Additional alphabet typesets (A-Z), individual letters, number typesets (0-9), and ribbons can be purchased. Letters and numbers are 3mm in height and 2mm in width. Ribbon colors are available in black, red, blue, white, gold, and gray.